I’m still not a fan of pop up ads (although millions of blogs inundate you with them to sign up for their damn newsletter) but if I knew what would be better I’d invent it. For now, we deal with banner ads and clicking out of them as fast as we can. I would argue I’m one of the fastest pop up destroyers in my small town of Rouse Hill, a suburb north west of Sydney. I destroy those things like it’s my passion. In fact, it is my passion. Maybe my next book will be 38 ways to destroy pop up ads. Pop up ads in a coworking space can be just as annoying and the Australian startup Posse sheds some light on why. When Posse signed into the space they were pitched an offer for a select group of small business services at ‘mates rates’. Seems like a good idea from the business. They work at a hipster, cool coworking space and receive mate rate business services. Posse eluded that this early pitch could be felt as a pop up ad instead of a human connection. They also quickly discovered that coworking spaces when full can be loud. Let’s look into what Posse really needed in a coworking space. They were building software and were used to a certain environment. Loud chatterboxes on mobile phones would eventually break their focus and it did. This also falls into my category of pop up ads. Loud, obnoxious mobile phone users are distracting and = pop up ads. In light of this information, I’ve written a few questions that you can use when engaging prospective new coworking members. Or, you can use a version of these questions when seeking out the perfect coworking spot for you or your business. What type of environment do you get the most work accomplished? Provide in detail what that looks like for you and why? Can you explain a work environment that you hate and why? I’m not a rocket scientist (I have fired bottle rockets) but I truly believe if the space curator was more interested in the benefits of the coworking member – a Posse scenario like this could be avoided. This is not to throw dirt on any one individual but instead to come together as a whole and say – let’s do better. The story continues as Posse experienced more pop up ads from members in the space interested in their success. They accrued a bit of press which becomes like light to moths. And, the moths came fluttering. Some would pop over and pitch ideas, others would cozy up in an attempt to use their information for their good. More pop up ads continued when space sponsors provided swag to space members. The free gifts ranged from pizza to massages but instead of it feeling like a benefit, it once again became a pop up ad to the Posse team. Another distraction, loss of focus, loss of time and more importantly, loss of energy. The Posse team finally gave up on coworking after a competitor in the space approached one of their engineers and offered them a more lucrative offer to join them. 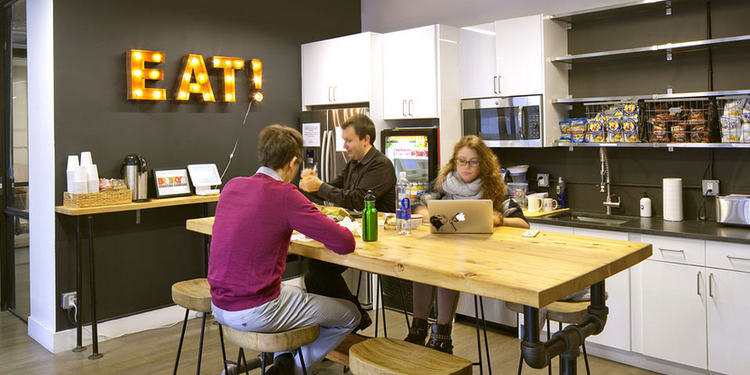 This is a sad, sad story for coworking. It breaks my heart to hear of instances like these but we should be forever grateful to the Posse team for sharing them. They are giving us insights into what not to do and that is sometimes more important than what to do. I work out of Space&co in Rouse Hill, NSW. It’s a magnificent space with a sister location in Melbourne which is pretty cool as well. 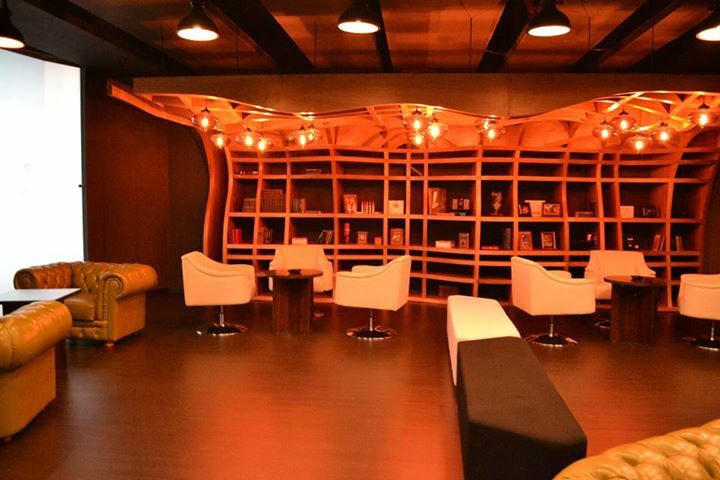 Note: This blogpost was written by Faraz Majidulla, of Astana Multispace, as part of an informal series to introduce us to Coworking spaces and how they function all over the world. So let’s start the series off with a little bling bling from Kazakhstan. Kazakhstan is the ninth largest country in world based on land mass but only boasts a population of about 18 million people. Astana is the newly formed capital city and it hosts some of the world’s best new age architecture, from the Norman Foster designed tent shaped shopping center, Khan Statyr, to the multiple new skyscrapers scattered around the city. One of the most fascinating sites in the city is the Batirek monument, which towers over the city and from the top gives you the best view of Astana. Kazakhstan is most famous for being an oil rich country but it also has abundance of other natural resources like: gas, gold, copper, uranium, which has given it the opportunity to attract investors from all over the world. 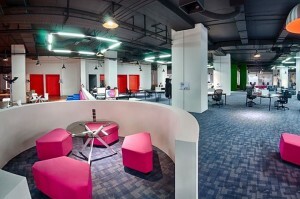 Coworking is a relatively new concept in Kazakhstan and most people are yet to grasp it. With Astana Multispace being the first real coworking in Kazakhstan we have been entrusted with not only providing world class services that coworking members around the world are accustom to but also with educating the public on how coworking can help them. Astana Multispace is situated on the top floor of Astana Mall, one of the most popular and unique malls’ in Astana. The mall has previously hosted many concerts featuring some of the region’s most famous talents. It has also hosted other great events like drift racing competitions in the underground parking lot and MMA fights in the middle of the mall. All of these things have helped make Astana Mall one of the destination spots in the Astana. In recent months however the trend has changed as most people are visiting the mall for more business oriented events that are generally hosted in Multispace. On a daily basis there are hundreds of people coming for seminars or conferences hosted by the likes of big financial institutions, the national railway company, big oil companies, and big media institutions. Multispace is considered to be the ‘third place’ filled with eager entrepreneurs, creative designers, and inquisitive journalists. 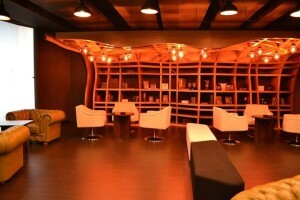 The sensible design gives it unique ambience that makes it comfortable whether you want to work or relax. Our design is often compared to Google Office designs. There are a host of different types of workstations available, individually themed private meeting rooms, a large conference room, a library, an amphitheatre, individually themed private offices, a cigar lounge, a coffee shop and relaxation area. In addition to this there is a reception area that offers a concierge services. In Multispace we focus on giving our coworkers the right ‘props’ and best possible conditions to achieve their goals. This includes high-quality eco-friendly furniture, proper lighting, and the ability to relax in the special twilight recreation room, this is all so that people can work more productively. Our main task is to give young entrepreneurs a new lifestyle. The future of coworking in Kazakhstan looks very bright as more and more people are choosing this concept opposed to the traditional office. Most of our coworkers claim that it would be near impossible to switch back to the old ways and see this as the better alternative. 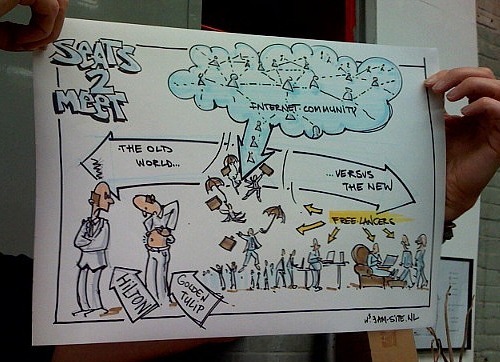 The reason for this is mostly the social aspect that has been injected into their work life making them more open to new ideas and productive. Entrepreneurship took a leap forward today in Austin, Texas with the announcement by Cospace of their partnership with Capital Factory, a leading startup accelerator, in managing a new facility sponsored by the City of Austin through Austin Tech Live, downtown. 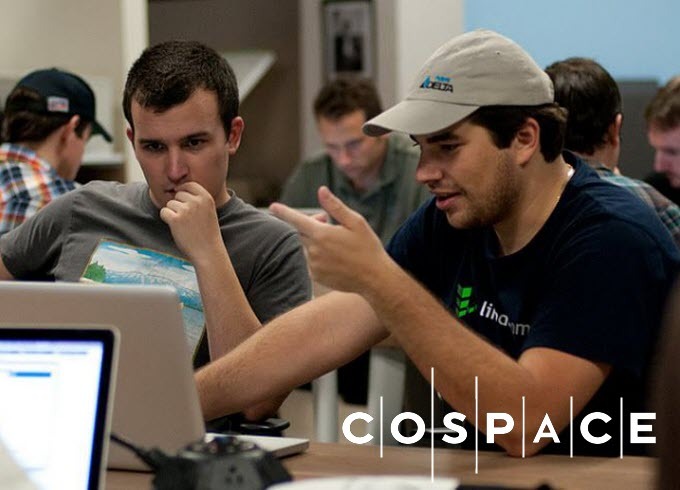 Cospace recently reached an agreement with Capital Factory to manage operations of the 22,000 sq ft startup space and provide the entrepreneurial classes and events there to Austin’s startup community and entrepreneurs. An initiative supported with staff and resources through the Austin Chamber’s Opportunity Austin funding and executed through the Chamber’s Technology Partnership team, Austin Tech Live is the local initiative to develop a community of entrepreneurs working in a state of the art environment and coworking space in the core of Austin’s creative center – the downtown central business district of Austin. The partnership is the first of many changes for Cospace in the expansion of it’s entrepreneurial ecosystem-as-a-service — workplace, business networking, resources, educational programming, and lean product development services — which helps entrepreneurs start, build, and grow companies. Akin to SaaS (“Software as a Service”), Cospace serves members and entrepreneurs with the familiar meeting space, workplace, resources, as well as educational programming, project management and product development services, and business networking. Cospace, known in Austin as the home to entrepreneurs focused on Lean business and product development, is a collaborative business community that has facilitated the launch of more than 50 products, supported nearly two dozen startups, and hosted over 1500 students through classes in technology and entrepreneurship. Cospace has reached more than 5000 entrepreneurs and professionals throughout the Austin community with affordable workspace solutions and meeting space, highly accessible event space, and classes and programs to help entrepreneurs build businesses. Via the partnership, Cospace and Capital Factory will take coworking to the next level and ensure that startups have the space, resources, and training they need to succeed.